Layering rugs is one of my favorite things to do. 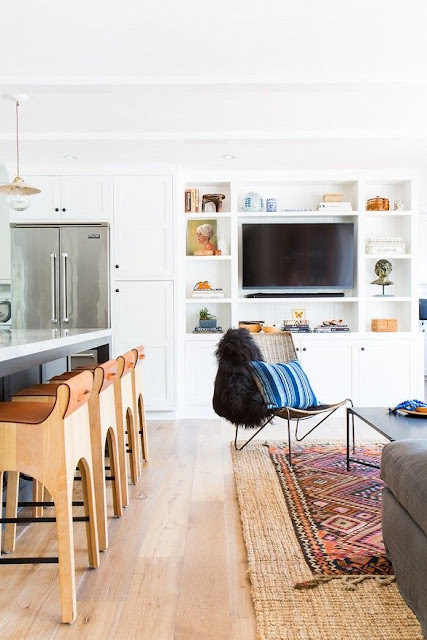 It adds so much interest to a room, whether the floor is hardwood or carpet, layer away! I recently got a new rug for under our zebra hide in the dining room. The old one was dirty and dingy and I wanted to try something with a little more grey hue to it to go with the slate floors. 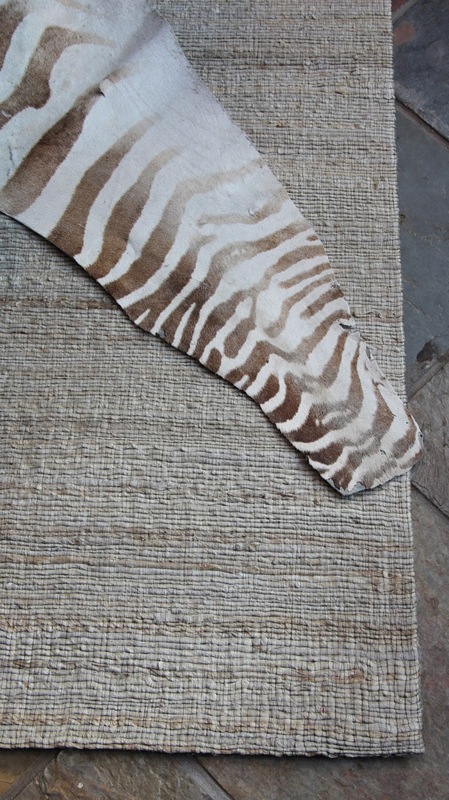 I chose this rug in a 6x9 size from Natural Area Rugs. 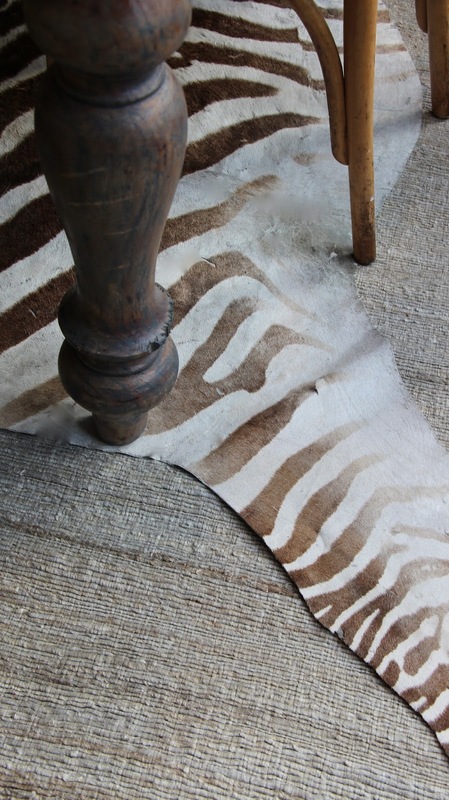 It's soft underfoot and thinner than the other rug we had there which works great for layering. 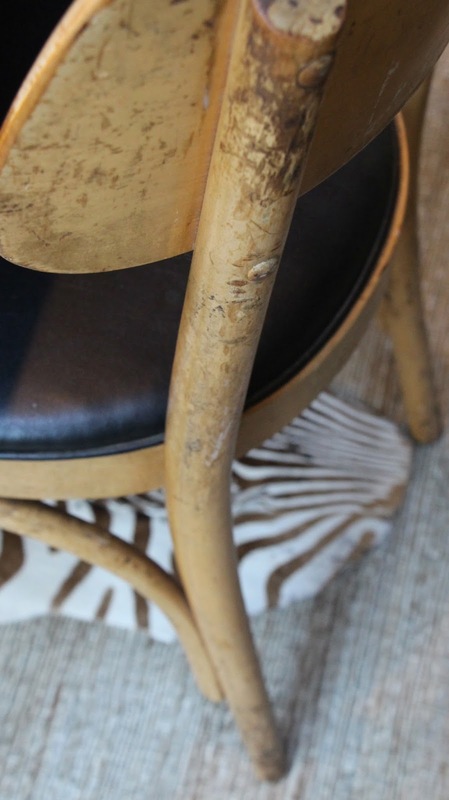 I love all the different textures and neutrals. 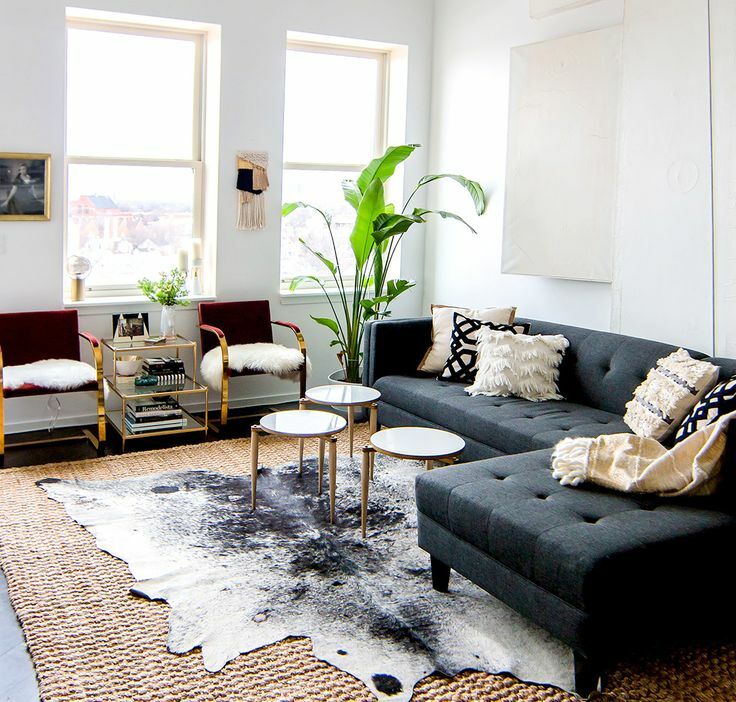 And here's a little more layered rug inspiration for ya! 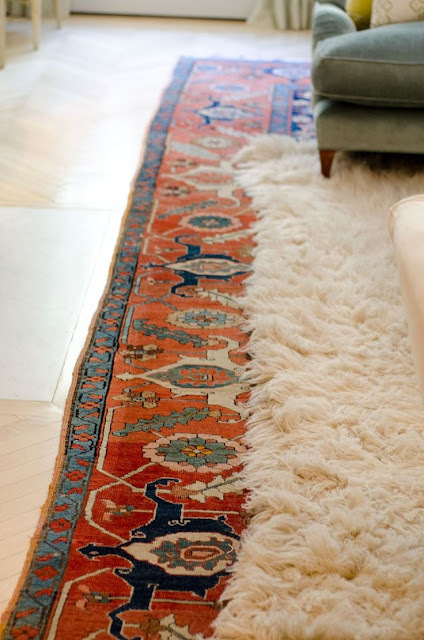 This would be a great idea if you have a family heirloom rug and want to keep it in tip top shape, or if you have an old rug with a ripped or worn out middle area. 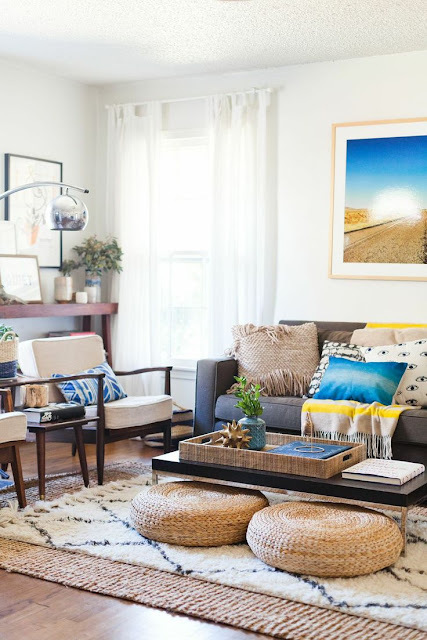 1~Use a flat neutral rug for a base if you are nervous about too much color or pattern. 2~If you are using a hide on top, try angling it for more interest. love the moroccan rug on top of the sisal! I am curious? Does your hemp rug shed? also have a look some intersesting stuffs like this ! Pengobatan Ambeien ? Segera Hubungi Kami Dan Pesan Obatnya Sekarang Juga di Fast Respond : 087705015423 PIN : 207C6F18. From the tons of comments on your articles, I guess I am not the only one having all the leisure here! Keep up the excellent work. I really liked your article sir Please Keep sharing such great and unique articles for us. 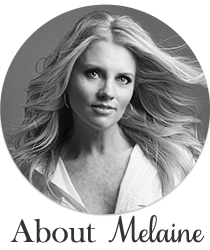 She is one of the leading program faces familiar to the public, the audience is much concern and love. Although she is not too active speech but clear voice, rich knowledge and outstanding looks help her impress when aired. mega collection of happy diwali images. Amazing!!! I like this website so much it's really awesome.I have also gone through your other posts too and they are also very much appreciate able and I'm just waiting for your next update to come as I like all your posts... well I have also made an article hope you go through it. Download Happy Diwali Images 2017 in English,Hindi,Telugu. Labor’s day is one among the foremost vital days within the federal holidays within the US of America. Labor is one among the explanations why the Multi-National corporations earn many profits.